Intense flavours, perfectly cooked meals every time. The Artame pressure cooker not only saves an incredible amount of time, it produces healthy and delicious food. Vitamins are sealed in instead of boiled away, vegetables keep their bright colours, and meats are tender and succulent. 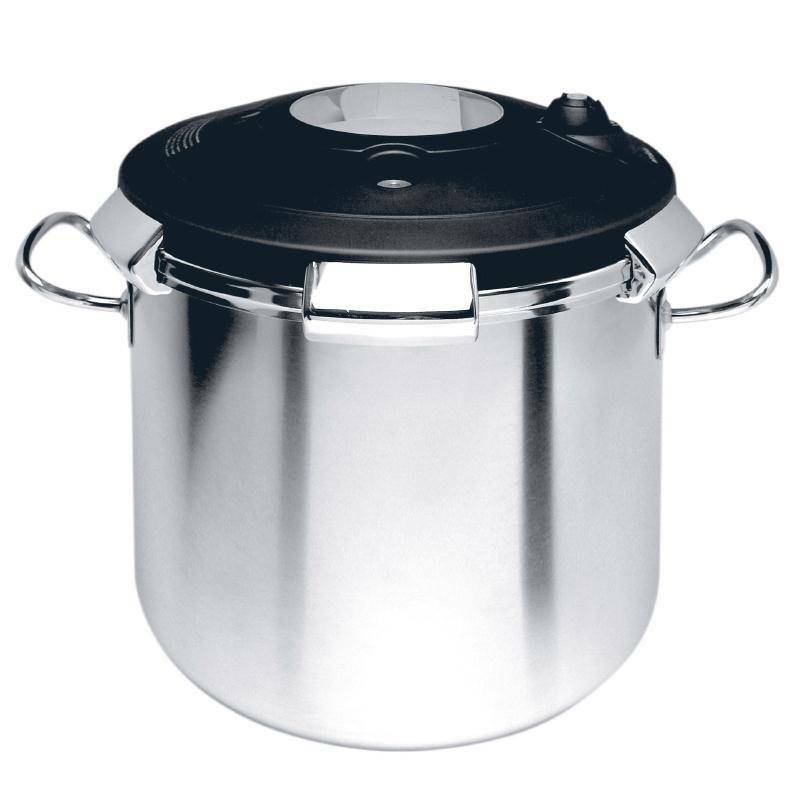 The lid features a unique central opening handle lock which has no locking point on the pan and can therefore be single-handedly opened and closed in any position. Manufactured from quality 18/10 stainless steel with an aluminium core base, suitable for all hobs including induction.